Kendall Tracy, General Manager of the San Francisco Miners, is not one for rash decisions or one-night stands. But when she finds herself alone in a hotel room with a heart-stoppingly gorgeous man-who looks oddly familiar-Kendall throws her own rules out the window…and they blow right back into her face. Drew McCoy should look familiar, he’s a star player for her team’s archrival the Seattle Sharks. 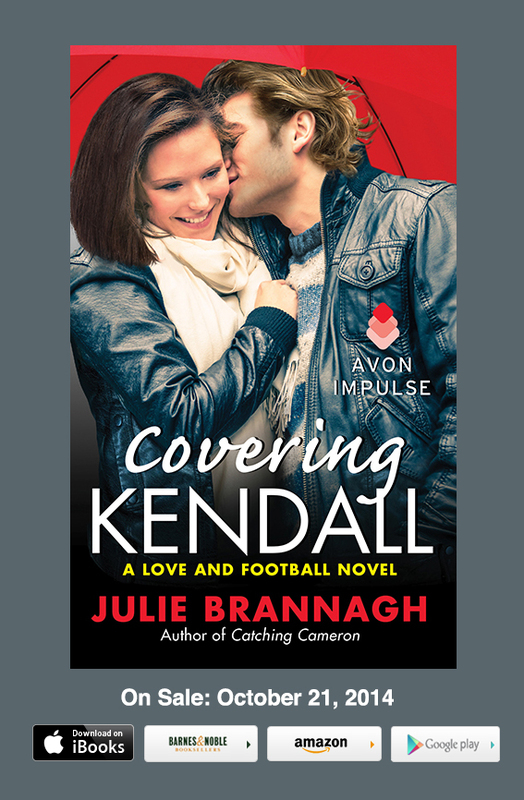 Which would basically make Drew and Kendall the Romeo and Juliet of professional football…well, without all the dying. Not that it’s an issue. They agree to pretend their encounter never happened. Nothing good can come from it anyway, right? Drew’s not so sure. Kendall may be all wrong, but he can’t stop thinking about her and he finds that some risks are worth taking. Because the stakes are always highest when you’re playing for keeps.